Pat continues to teach us some history, and plays an audio fragment of Eric Schmidt from Google, taped in 2006 on a search engine conference talking about putting workloads in the cloud. Salesforce was founded that same year. This year 160 million workloads are running in private and public cloud. In 2021 it is expected 50% of all workloads will run in the cloud. And in 2030 50% of all workloads will run in public cloud. Pat continues to talk about growth and IoT as driver of this growth, and stresses he thinks IT keeps growing and will not shrink as some others expect. Vertical that embraces cloud most is the Technology Vendor vertical. “Self-starting IT” aka shadow IT is growing faster than ever. It will be about Freedom v.s. Control, using the parent kid relation as an example. Users want freedom, IT wants control and compliance for instance. Pat plays videos from Raghu Raghuram from VMworld 2011 in Copenhagen talking about SDDC and customer stories by Zebra, iGov and SAIC. We must address the next industry challenge. Pat invites Robert Leblanc on stage, responsible for IBM cloud business to talk about their joint efforts to build public cloud. 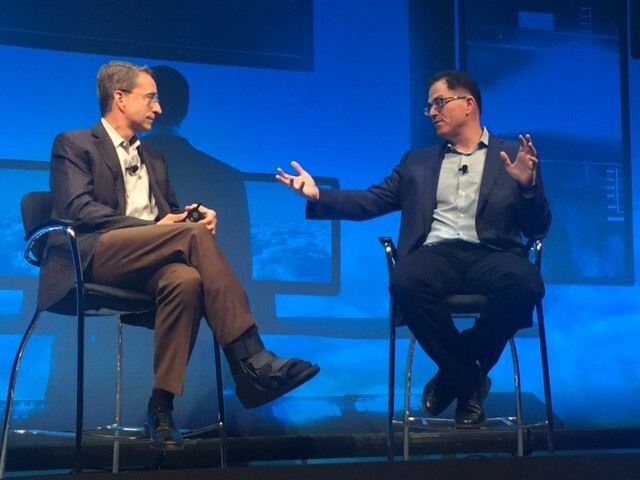 They are joined by Marriott being one of the customers running on the joined VMware and IBM cloud. Cross-cloud services sounds almost like “cloud virtualization”, have a single pane of glass to deploy workloads in different public cloud providers. Guido gives a little demo with a tech preview version of the software, not very detailed. Next John Spiegel from Columbia Sportswear is invited on stage. John starts showing his cloths that are all part of the Columbia brand family and recommends reading the book “The Phoenix Project” which still happens to be on my “to read” list. They continu to talk about the Arkin product, recently acquired by VMware to give insight in to network traffic in NSX. The demo continues by deploying NSX in the public cloud and have the same features as NSX offers in your private cloud. This can be used to apply network policies to your network in the public cloud, and encrypt traffic between all VM’s for instance, pretty impressive! Next customer on stage is Josh Warsop from Johnson & Johnson talking about architectures for IoT, and show they move a database tier cross the globe and cross cloud providers, Amazon and Azure in this case. Video from GE is shown about IoT OS Predix. Pat is back on stage talking about the VMware Vision and plugs tomorrow’s keynote from Kit Colbert and Sanjay Poonan. This concludes todays keynote, more tomorrow. This entry was posted in VMworld and tagged 2016, Keynote, VMware, VMworld by Duco. Bookmark the permalink.